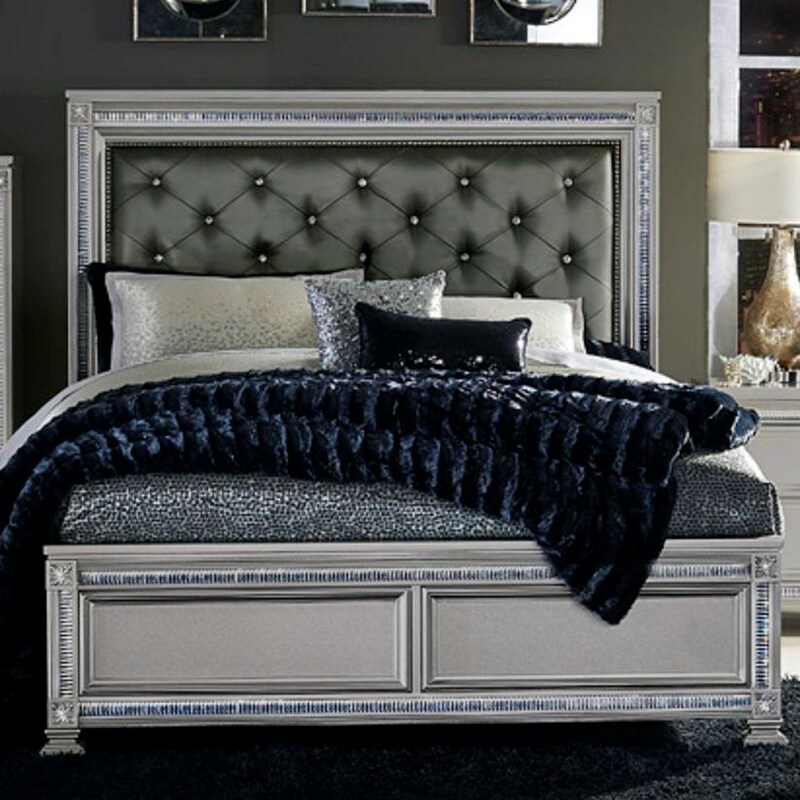 Add a truly unique, and beautiful, look to your bedroom when you bring home this glam style king headboard and footboard bed. 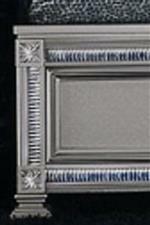 Both the headboard and footboard show off an intricate and glamorous inlay around the edges. 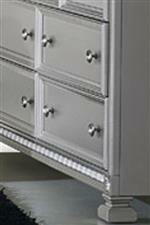 The Footboard adds to the style with a pair of panels showcasing a sophisticated silver finish while the headboard boasts an upholstered panel with button tufting throughout to create a look worthy of a movie star. The 1958 Glam King Headboard and Footboard Bed with Intricate Inlays by Homelegance at Del Sol Furniture in the Phoenix, Glendale, Tempe, Scottsdale, Avondale, Peoria, Goodyear, Litchfield, Arizona area. Product availability may vary. Contact us for the most current availability on this product.